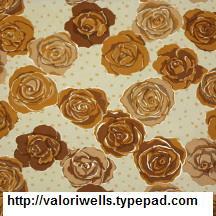 Guess where this gorgeous brown rose print from Valori Wells’ Olive Rose fabric line was sighted? I’m not gonna tell you! Go to Valori Wells’ blog to find out.